TWO new state-of-the art machines at the Friendly Society Private Hospital are set to help cardiac patients. 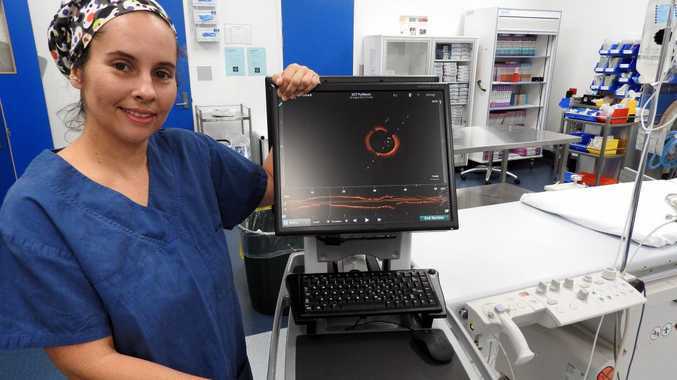 Cardiac Investigations Unit nurse manager Michelle Lohse said the new rotablator machine not only delivered quality outcomes for patients, but also provided respite for local patients from having to travel to Brisbane. "The patients that benefit from this machine are those who wouldn't have been able to have a stent put in, due to the hard plaque build-up. Before we started using the rotablator, those patients would have had to travel to Brisbane," Mrs Lohse said. "When plaque builds up inside an artery, it can be hard or soft, and this machine is used on the hard plaque build-up. "The machine drills the hard plaque from the artery, turning it into tiny particles, smaller than a red blood cell. "Because the plaque is then so small, it can be taken through the blood and removed from the body through the liver and the body's own regular waste removal process." Mrs Lohse said the greatest benefit of the machine was that more patients could be treated in Bundaberg. Another new machine at the hospital, the St Jude ilumien, now combines the functions of two diagnostic techniques. "This is a great tool to use during diagnosis and gives us better information to help us determine if a patient really needs a stent," Mrs Lohse said. "This can then save patients from having a surgical procedure they may not have needed. "It can also be used after any procedures to confirm that a patient has had a good result. 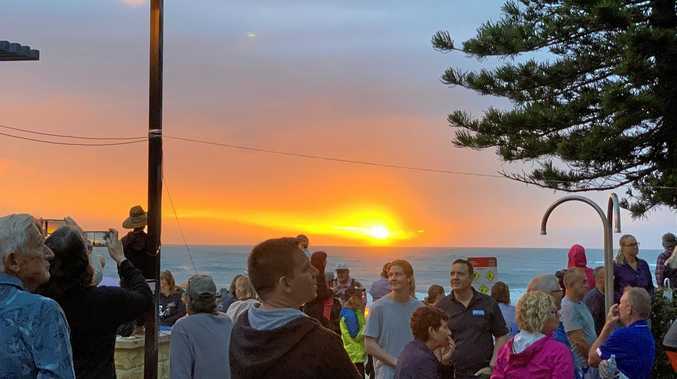 Hospital CEO Alan Cooper said the Friendly Society Private Hospital, in conjunction with Bundaberg Cardiology, was committed to cardiac care and services. "By continuing to expand the capabilities of the Cardiac Investigations Unit, whether it be through these new machines, or other new technology, procedures and staff development, it shows just how dedicated the hospital is to continuing being a leader in regional healthcare," Mr Cooper said.